Hey everyone! I wanted to let you know that the Bullettes will perform on WPFW’s “Live at 5” Segment on Monday, October 5th, at 5 pm to 6 pm! 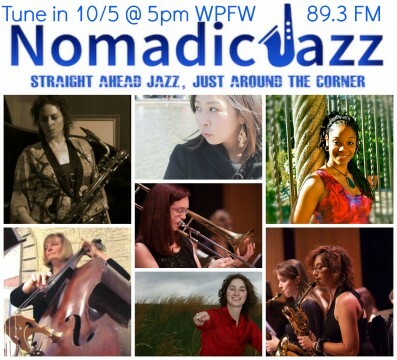 Tune in to hear some of the music off our album release coming up presented by Nomadic Jazz on Saturday, October 10th at 7 pm – 9 pm at the Durant Center in Alexandria. Click here to buy tickets: http://instnt.us/NomadicJazz. They may do a giveaway on the show so I hope everyone tunes in! Thanks and keep swingin!